Known for its warped, oversized logo, the FILA Mindblower was a classic sneaker of the 90s. 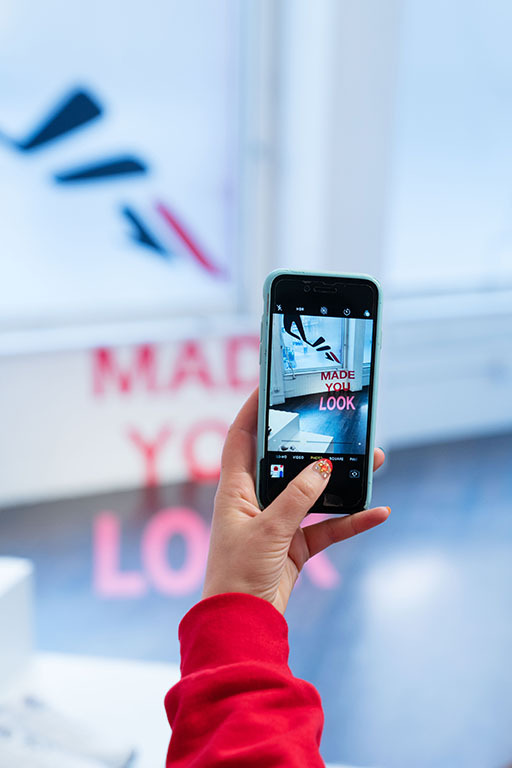 To reintroduce the shoe in spring of 2018, we worked with FILA on a 360 launch strategy that included a retail experience and a digital hub that introduced the shoe, upped brand cool factor, and earned press and buzz. We created not just a pop-up store, but an immersive experience that used optical illusions, anamorphic typography, and other visual effects to play tricks our audience. A trippy shoe line deserved a trippy creative experience. Insta fun was sprinkled throughout the store. Anamorphic text stopped people in their tracks. A 90s style TV broadcasted a live feed from four hidden cams. Nesting doors revealed a hidden infinity mirror. As part of the relaunch, FILA tapped 47 international partners including Kinfolk, Pink Flamingo, Kasina, and Solebox to create limited edition interpretations of the iconic design. OOH around SoHo drove traffic to the store. Our microsite was inspired by the store design and featured the collection of limited edition shoes. 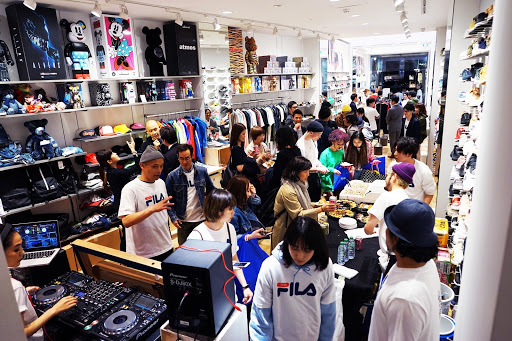 We took Mindblower international, opening two mini pop-ups in Tokyo and Seoul at renowned sneaker stores Atmos and Kasina.